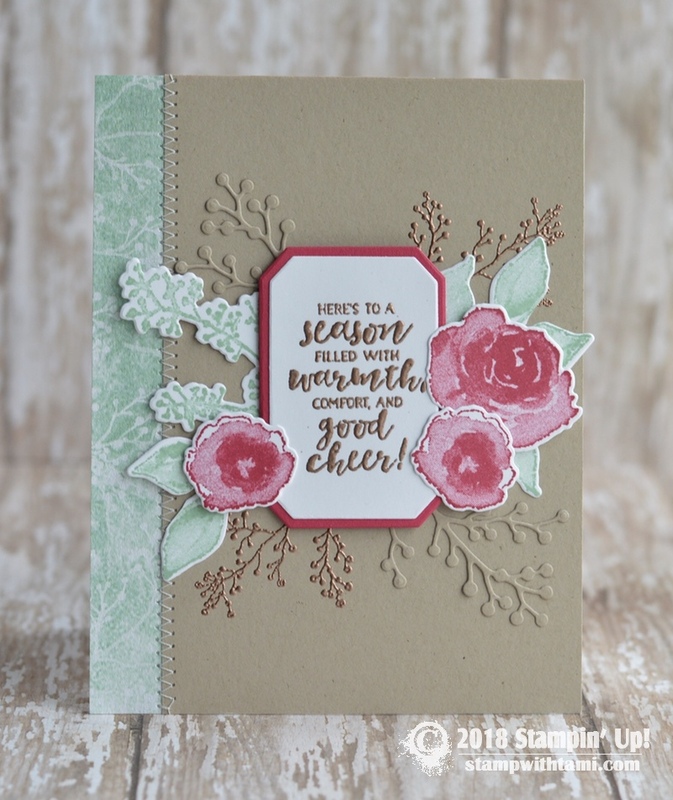 Gorgeous “Wow” card “Season Filled with Warmth and Cheer” from the new Stampin Up First Frost Bundle. Stamp set and dies are in the new Holiday Catalog. The background paper is from the Frosted Floral DSP collection. A touch of copper heat embossing finishes this card off.